Sanja Ilić & Balkanika will represent Serbia at Eurovision Song Contest 2018 with the song Nova deca, after winning both the jury's and the public's 12 points. The Serbian selection Beovizija 2018 took place tonight live from Sava Centar in Belgrade. The 8th edition of Beovizija (and the first since 2009) featured 17 songs chosen by the broadcaster Radio Television of Serbia (RTS). After the 17 competing songs were performed, another 11 songs were playbacked showing why Serbia is so popular in Eurovision – all wellknown hits from the Serbian history of Eurovision along with hits from their neighbours. Eurovision 2018 Serbia: Sanja Ilić & Balkanika - "Nova deca"
The song's music is written by Sanja Ilić and Tanja Karajanov. The lyrics are by Danica Krstajić. The arrangement is by Darko Dimitrov. The group Sanja Ilić & Balkanika (Serbian Cyrillic: Сања Илић и Балканика) is formed back in 1998 by Aleksandar Sanja Ilić. The group plays original Balkan music combined with elements of modern pop-rock sound, based on the powerful native rhythm of the Balkans mixed with modern approach and sensibility. Aleksandar Sanja Ilić (Александар Сања Илић), the composer and bandleader, is 66 years old. from Belgrade. He has been in the music world since he was a child. In 1982, he composed the song "Halo, Halo" which represented Yugoslavia in Eurovision Song Contest 1982, performed by Aska (finished 14th). The 8th edition of Beovizija selected the Serbian entry for Eurovision Song Contest 2018 in Lisbon. Beovizija 2018 took place at Sava Centar in Belgrade on 20 February 2018 with 17 entries. A total of 75 songs were submitted to Beovizija this year. 17 artists and songs have been selected by a committee. The committee didn't know the names of the artists, so they judged solely on each song's audio. 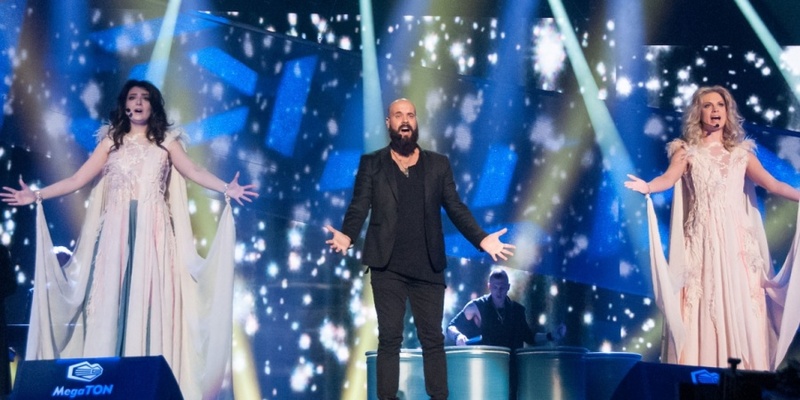 The result was decided by a combination of votes from a jury and televoting. Jury members were: Vojkan Borisavljevic, Ivana Peters, Dusan Alagic, Dejan Petrovic and Zeljko Vasic. The hosts of Beovizija 2018 were Kristina Radenkovic, Dragana Kosjerina, Branko Veselinovic and Aleksandar Stojanovic. Serbia 2015: Bojana Stamenov - "Beauty Never Lies"
Out of the 10 participations they qualified to the Grand Final 7 times.